Welcome to the third edition of SuperPhillip Central's ongoing look at moments in games both past and present which left many players dumbfounded on how to progress, what to do, where to go, and other less than intuitive means to move forward. Why, the solutions to these problematic points in games are practically obtuse! We're going fully retro with the theme this time on volume three with five more games that brought most players' progress to a brick wall. This first game's seen a seemingly infinite amount of ports and remakes across a wide range of platforms, with the most recent being the Nintendo Switch. 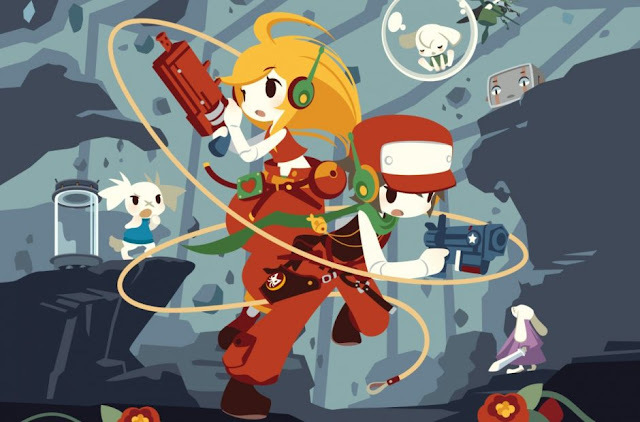 While the game is now on another new platform, Cave Story still retains the same method required to obtain the good ending after all of these years. However, as we've seen on previous volumes of "How Was I Supposed to Know THAT!? ", some games just don't make things fair on its players. During his adventure, our hero comes across a Professor Booster who falls out of a portal and into a chasm below. The logical thing, after all, with you being a hero, would be to dive down that pit and check on the unfortunate fellow. However, that's actually not what you're supposed to do. Instead, you're meant to ignore what just happened with the Professor as well as his probable pain and suffering, and move along like nothing happened. This requires a well executed bit of decidedly challenging platforming to otherwise not fall into the chasm alongside the Professor. Because if you enter the pit, requiring you to speak to Professor Booster, the event where the character heals from his fall and finishes a special item for you doesn't happen, thus blocking your ability to get the good ending of Cave Story. It's something as simple as following an otherwise innocent, little event to its conclusion (i.e. not ignoring a fallen, friendly NPC suffer from his injuries) that can instantly jeopardize a Good Ending run in Cave Story into something worse. If you know that doing this event will affect you earning the good ending going in (which most players starting out will not), you can avoid falling into the pit or just reset the game. If not, you won't be any the wiser as to why you haven't seen the best ending Cave Story has to offer. 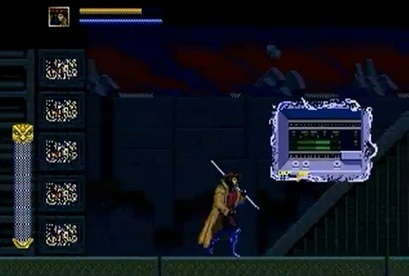 The Mirror Cuirass and the Knuckle Duster are two items that you can retrieve in Dracula's Castle in Castlevania: Symphony of the Knight by using the Mist ability, earned a good amount of time in the game. They're helpful items to acquire by that point in the game, but they're even better to nab earlier on. However, they're locked behind a gated door, impervious to anything passing it except Alucard's aforementioned Mist ability, so this is but a pipe dream, right? Not so, dear reader! And so long after playing Symphony of the Night for the first time, I was stunned to learn that I could acquire these two prized items ahead of time, or how anyone could have found this to begin with. 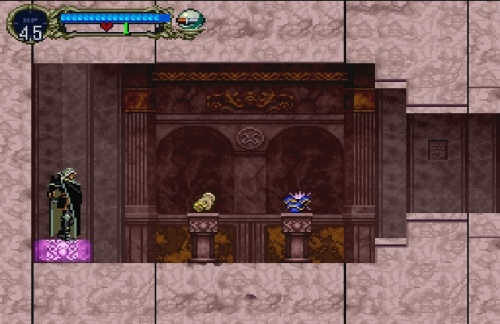 A room directly above the one containing the items is a dead end with a wall showing clear cracks. Breaking this portion of the wall will reveal a Pot Roast recovery item. That's that, right? Well, actually, no. There's more to this room than meets the eye, but it requires some patience. Literally. 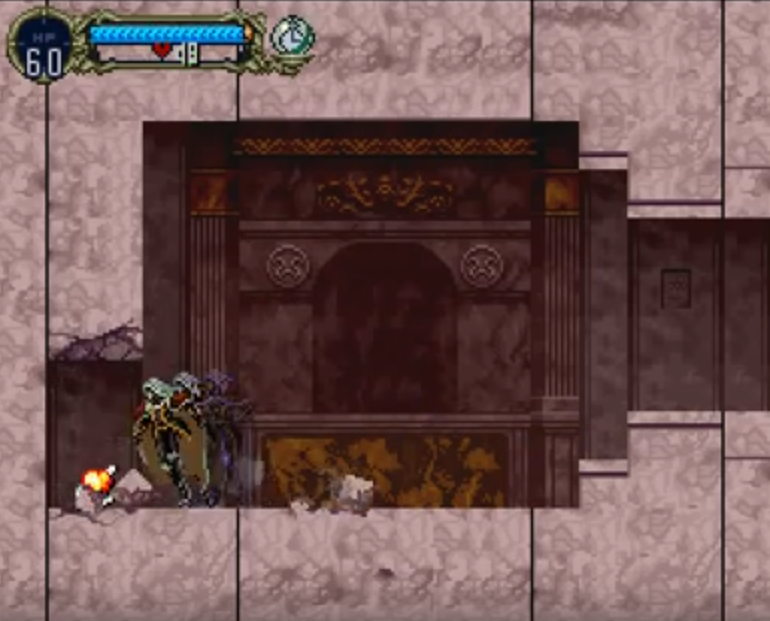 The space left by the broken wall requires Alucard to plant firm feet on it and stay still for 20 seconds or so. Suddenly, an elevator will slowly lower down, revealing entrance into the room possessing the Mirror Cuirass and the Knuckle Duster, proudly resting on adjoining pedestals, awaiting to be plucked and plundered by Dracula's son. "Ah, dammit! The 'reset the computer' warning is blaring away again, Ted." "Can't you just do what you did last time, Paul, and kick it a few times to shut it up?" There is a point in the second-to-last level in X-Men where players are told to "reset the computer." The first thing that comes to one's mind might be to just punch and kick at the computer screen, only to feel confused when each extremity thrown does nothing to help at all. Then, it must be something within the level itself that one has to go back, find, and destroy? After all, there were plenty of henchmen to take out, so one might have easily missed something in the process. Unfortunately, these possible solutions turned out to not be solutions at all. The actual solution is for the player to quickly press the Reset button of their actual Sega Genesis. (Quickly press, not hold, as that would actually start the game over again.) In doing this fourth wall-breaking action, the computer in the facility would do as players intended. Of course, those that managed to think that far outside of the box, much more actually convince their young selves that tapping the Reset button wouldn't eliminate all of their progress up to this point in the game, probably weren't too confident if they came up with the correct solution. In a pre-Internet world, this one was worth calling a video game tips and tricks hotline for... or lucking out and having a friend from school find out for themselves so they could tell everyone on the playground during lunch. From one team of mutants to another, we look at the Teenage Mutant Ninja Turtles now. Their NES outing was a part-platforming, part-swimming, part over-the-head roamer that was and is still well known for its brutal difficulty. It also contrasts greatly with the majority of TMNT games that followed such as the more popular side-scrolling beat-em-up games. The brutal difficulty was as much part of the game actually being hard in challenge and being hard because many points in TMNT were counter-intuitive. One of the most famous initial struggling points outside of the dam level, which occurs in the very first level of the game. 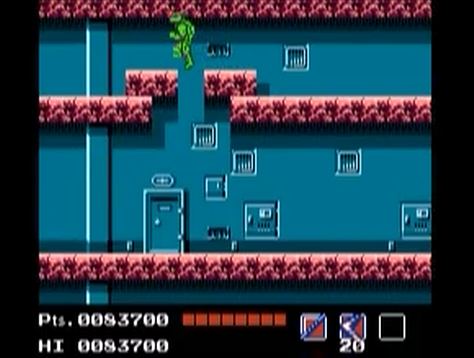 The level is set at the docks where multiple side-scrolling sections of sewers connect the overhead perspective where the Turtles control the van to get from place to place (sewer to sewer, warehouse to warehouse) within the relatively confined quarters. A particularly notable sewer has a point where you have to make a one-square-wide jump over a chasm, or go falling to the bottom level where you must make your way back up to the spot to try the jump again. Time and time again players will find themselves just missing the opposite side of the gap that looks like it should a breeze to make. Well, it actually is a breeze to make... because it's not a jump. Instead, a Turtle can just walk across it like the chasm isn't even there -- the same chasm that seemed to far across to do anything but jump over is the one you can just across. I share your exact sentiments, Angry Video Game Nerd, and thanks for the reminder about this one. We save the worst (obtuse thing of this volume) for last! Now, the King's Quest series of point-and-click adventure games is known for usually having at least one completely *cue the article series name* "How Was I Supposed to Know THAT!?" puzzle in them. These are puzzles that require you to have some outside knowledge that isn't bestowed upon you from the actual game. 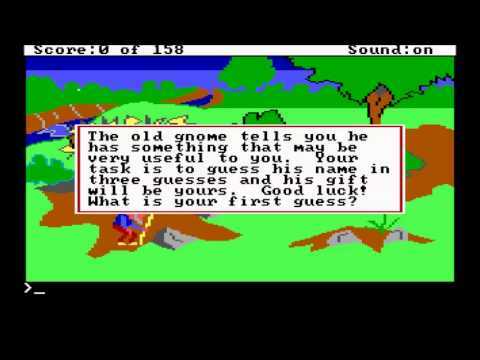 Well, this riddle from a mysterious gnome in the original King's Quest was the one that started them all! This old gnome gives players three opportunities to guess his name. While you do receive one hint in the form of a nearby house's letter cryptically reading "Sometimes it is wise to think backwards", that's all you really get. To go beyond that assumed clue, you need to do some thinking of the big picture, which is that King's Quest is a series tied to fairy tale lore, so it makes sense for the series to use some names from those tales for its own characters. Who is a well known gnome in fairy tales? Rumplestiltskin. However, simply typing in "Rumplestiltskin" as your guess isn't good enough. That letter from the house with the cryptic clue comes into play now. Unfortunately, if your thought was to spell "Rumplestiltskin" backwards, it wasn't correct, and it wouldn't be good enough for the old gnome in the original version of King's Quest. Instead, you had to not only come up with a base name to work off with using outside information, but know to spell that name using a backwards version of the alphabet (e.g. A = Z, I = R). This finally will lead you to the solution of "Ifnkovhgroghprm." I'll just say if that gnome ever asks me another riddle like that nowadays, I'll just steal the damn magic beans from him.